A large number of low- and middle-income countries have either recently introduced, are introducing, or are currently reforming their approach to program-based budgeting. A persistent challenge for both reformers and budget users in many countries undertaking such transitions is to learn about practices in other countries, good or bad, that might inform local approaches. 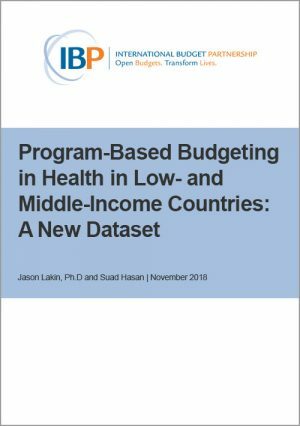 As part of research undertaken for a larger World Health Organization project, International Budget Partnership researchers collected and assessed budget documents from 30 low- and middle-income countries with some form of program budgeting. A brief technical note describes the data collected and offers a summary of what it tells us, and the dataset contains the full assessment and additional notes.